Our second author of the week to be down this way from the San Juan Islands (following Jonathan White), Thor Hanson makes this welcome Elliott Bay return for his newest work of natural study, Buzz: The Nature and Necessity of Bees (Basic Books). "As he did for feathers and seeds, Thor Hanson has written a wonderfully engaging work of natural history that will delight readers with its elegant prose, surprising stories, and deep humanity. Bees, so important to life on earth, are fortunate to have someone as passionate and knowledgeable as Hanson tell the tale of their evolutionary past, turbulent present, and precarious future. After reading Buzz, you will look at bees with a profound mixture of awe and gratitude. "—Eric Jay Dolin. 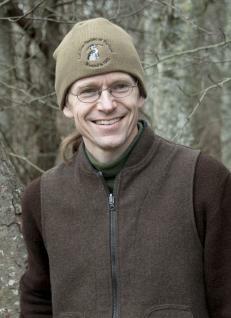 "Thor Hanson is a gifted storyteller and naturalist. In Buzz, he takes us along on a wondrous, action-packed journey to discover the secret lives of bees, flowers, and the unconventional men and women who study them. 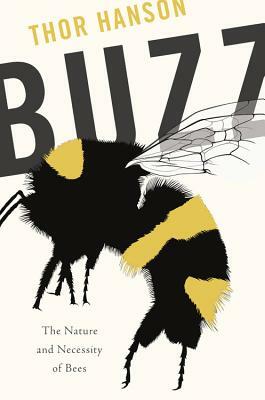 This book really is the buzz about bees, and it's destined to become a natural history classic." —Stephen Buchmann. Thor Hanson’s previous books are The Triumph of Seeds and Feathers.